Hey, young lovers, here’s a little advice: Valentine’s Day is where you screw things up. Now, I’m sure some of you are thinking, “But Mike, I got Valentine’s down. The roses, the chocolates, the prime dinner reservation.” Exactly. You’re making young love mistake number one: You’re coming on too strong. You gotta play it cool and breezy! Let’s start with those roses. You know what roses say? It says everything I know about relationships I learned from some Hollywood movie. It’s the floral equivalent of taking a first date to meet your mother. Giving your Valentine a dozen roses made out of Doritos tells your date that you don’t take yourself or your relationship too seriously; you wanted to get them a present, but also might get hungry later. It’s the perfect gesture to show that you thought things through, but you also didn’t feel the need to express your affection with a flower that wasn’t made from a snack chip. Unfortunately, according to the Doritos Ketchup Roses website, they’re already sold out. But they’re only made in Canada anyway. 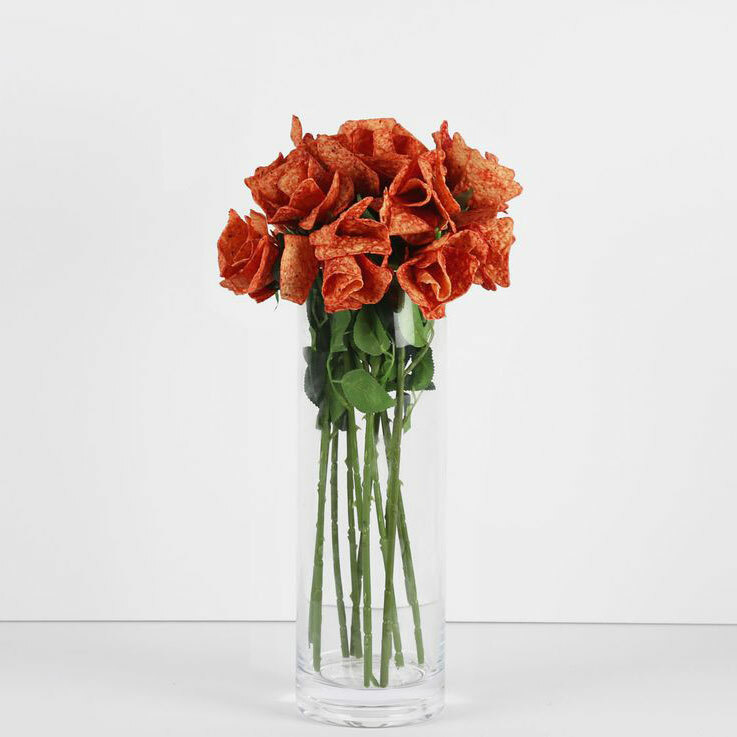 Of course, you could always buy a bag of Doritos and make your own Doritos roses. Doritos even gives you DIY instructions! But don’t do that. A handmade gift is coming on even stronger than getting roses. Maybe just avoid Valentine’s Day altogether. You’re clearly not cut out for this.